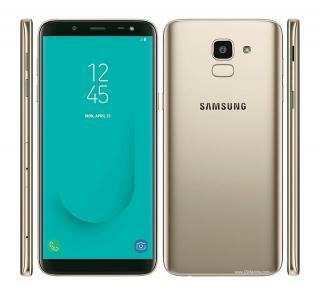 Samsung's Galaxy J8 entry-level phone features a 6" 720x1480 (274 PPI) Super AMOLED display, a Qualcomm SDM450 Snapdragon 450 chipset, 4GB of RAM, 64GB of storage and a microSD slot. The Galaxy J8 will ship in July 2018 for around 250 EUR. Samsung's Galaxy J6 entry-level phone features a 5.6" 720x1480 (294 PPI) Super AMOLED display, an Exynos 7870 Octa chipset, 3/4GB of RAM, 32/64GB of storage and a microSD slot. 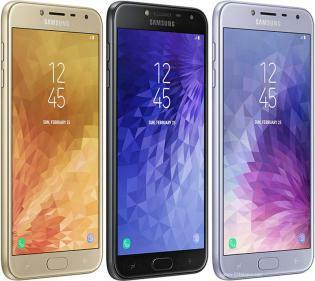 Samsung's Galaxy J4 entry-level phone features a 5.5" 720x1280 (267 PPI) Super AMOLED display, an Exynos 7570 Quad chipset, 2GB of RAM, 16GB of storage and a microSD slot. The Galaxy J4 will ship soon in India and other emerging markets. 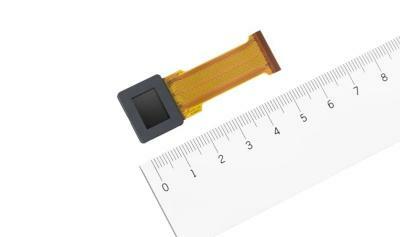 Sony launched a new OLED microdisplay, the ECX339A, which has the world's smallest pixel pitch (according to Sony) at 6.3um. The 0.5-inch microdisplay's resolution is 1600x1200 (UXGA) and it supports a frame rate of up to 240 fps. The maximum brightness is 1,000 nits. Sony already started sampling this new microdisplay in January 2018, and mass production is planned for November 2018. The price of each sample is ¥50,000 - or about $460 USD. Officials from SID reported that 369 Apple employees attended Displayweek this year - a 30% increase over last year. And indeed I can say that you could see Apple's employees all over the show. It's clear that Apple is increasingly interested in next-generation display technologies - including OLED displays, Micro-LED displays and foldable technologies. SID further says that this year 40 Google employees, 25 Amazon employees and 23 Oculus employees attended the show. The display is an extremely important part of most mobile devices today, and TIer-1 producers want more and more control on the display type, quality and performance. LG Display showcased several of its OLED technologies at SID DisplayWeek. The most impressive display was a 77" panel that is both flexible and transparent. The large panel features a 4K (3840x2160) resolution and 40% transmittance. The bending radius of the display is 80 mm. This seems to be the same display announced in June 2017. LGD also demonstrated, for the first time, its VR OLED display, developed in collaboration with Google. This is a 4.3" 3840x4800 (1443 PPI) glass-based display on an LTPS backplane, that supports a refresh rate of 120Hz. Apple started adopting OLEDs in the 2017 iPhone X, and it is expected that it will introduce one or two new OLED modules in its iPhone lineup in 2018 (which will likely include a total of 3 phone models). A new report from Korea's ETNews suggests that Apple decided to exclusively use OLED displays for all of its iPhone models in 2019. As OLEDs provide a better image quality, and are also thinner, lighter, flexible and more efficient than LCDs, it is only a matter of time until all of Apple's iPhones and mobile device make the switch to OLEDs. 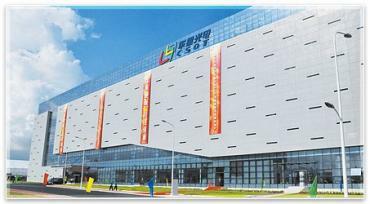 TCL announced that its CSoT Subsidiary (China Star, also known as Shenzhen Huaxing Photoelectric Technology) plans to establish an LCD+OLED TV fab in Shenzhen, China. The new fab will have a monthly capacity of 90,000 substrate - and will produce 65- and 75-inch OLED TVs in addition to 65-, 75- and 75-inch 8K LCDs, all on Oxide-TFT backplanes. The line will begin operation in 2021. The fab will apparently have two different production lines. The LCD line will be a 11-Gen line (3370x2940 mm) while the OLED Line will use smaller 8.5-Gen substrates (although this is not clear, CSoT may aim to use the 11-Gen substrates for OLED deposition too, perhaps cutting these large substrates before the OLED processing. Total investment in this new fab will be 42.6 billion Yuan (or about $6.7 billion USD).